Reviews.com is your obsessive research partner, founded in 2013. We inform better buying decisions by compiling in-depth category reviews on a variety of industries and products from dog food to online tax software. The buying process can be time consuming and confusing. We go beyond the marketing to deliver objective and individualized reviews consumers can trust. Reviews.com recommendations are not “one size fits all;” rather, they take into account various use cases within each product category and make a variety of recommendations based on individualized situations. By reviewing an entire product category at once (versus individual products), we are able to provide actionable advice for consumers based on all available options. Our picks are not swayed by advertising dollars, company partnerships, or affiliate payouts. 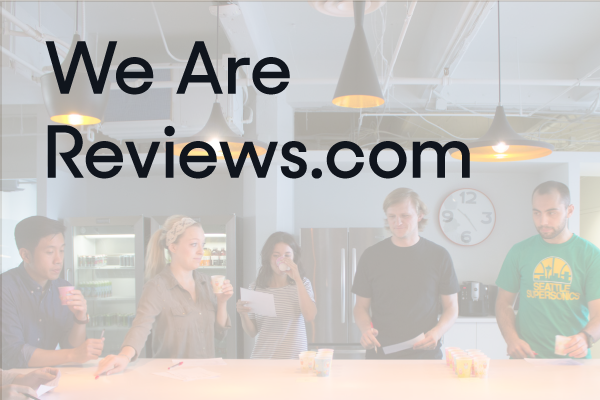 Reviews.com recommendations are informed by research; we seek to uncover the truth about the industries and products we review. Our aim is to be a consumer champion. The site takes its responsibility to provide consumers with up-to-date information seriously and will frequently go back and update a review as new data becomes available in order to better inform and protect consumers. For all inquires please reach out to us: press [@] reviews.com and we’ll get back to you!